What if you are affected with it, fibromyalgia. Or affected with the Chronic Fatigue Syndrome. Or by vascular related diseases like high cholesterol or Buerger’s disease. Or immunodeficiency diseases or mitochondrial metabolic diseases. There you want from. ASAP. Because you want to be better! So PBM is a gift. Because it has proven itself in all these diseases as an effective therapy. Fibromyalgia: literally fibromyalgia means ‘pain in connective tissue and muscles’. Around two in every hundred adults suffer from the affliction – including many tens of thousands of people in Europe. Fibromyalgia afflicts mainly women between 20 and 60 years of age. Read more. Diabetes is a group of metabolic diseases in which someone usually has a high blood glucose.This is possible when insulin production is inadequate, but also because the cells of the body do not respond well to insulin, or both. Diabetes of both type 1 and type 2 are characterized by high blood glucose levels. When this is the case for a longer period of time, serious complaints can arise, such as problems with feet, nerves, eyes, stomach and intestines, heart and blood vessels, kidneys, brains, sexuality and, not least, fatigue. Diabetic worldwide is growing enormous. Read more. Improve your blood values. In your blood, oxygen adheres to haemoglobin (Hb), which occurs naturally in your red blood cells. The more oxygen Hb absorbs, the more oxygen your blood transports to your muscles. That’s where the fuel is stored that is required for physical exercise. To burn this fuel, your muscles need oxygen. Read more. Mitochondria are the power plants of your cells, and they play an essential role in your energy supply – your energy needs. Because of that, they are an important factor in how you feel. At the same time, they are also the generators of afflictions and illnesses, mainly those related to your metabolism. Read more. ME, which is the abbreviation of myalgic encephalomyelitis, is also called chronic fatigue syndrome, abbreviated as CFS. ME/CFS is a burden for about 900,000 European people. It’s also a complex illness, characterised by a fundamental disruption of the central nerve system and the immune system, often combined with an energy metabolism that is disrupted on the cell level and cardiovascular abnormalities. Read more. 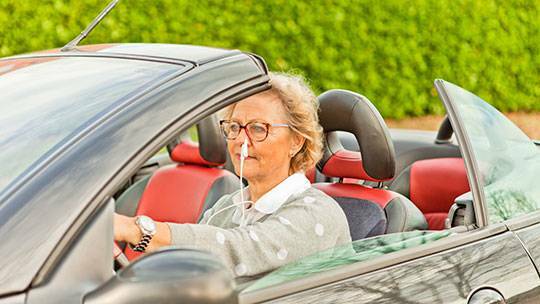 The specific laeq nasal laser clip improves blood flow, oxygen transport and immune system. The method to stay healthy. More and more people who use chemotherapy as a result of cancer experience the advantages that the laeq laser offers them. Simple because it speeds up the build-up of the damaged immune system. They also feel fitter quickly.